Which Low Carb Fruits & Vegetables are in season in February? : PBCo. Blog / Low Carb Living/ Nutrition / Which Low Carb Fruits & Vegetables are in season in February? Know ahead of time before picking up your weekly groceries by checking out what low carb fruit and vegetables are at their best in February. 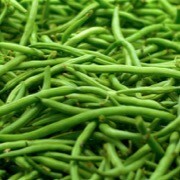 Green beans are a delicious fresh snack or can be used in a tonne of different dishes from salads, to stir fry’s, stews and more. 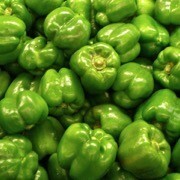 We’ve specified the green variety of capsicum as it’s generally lower in carb than the red or orange varieties which are usually much sweeter. Don’t be afraid of them though, the red capsicums only contain 3.5 g of carbs per 100g so are still very low carb and delicious! 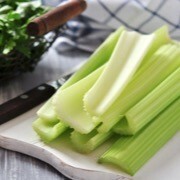 Celery is loaded with essential minerals and vitamins such as folate, potassium, vitamin B6, vitamin C and vitamin K. Add it to salads, stir-fries or fill the curve with peanut butter for a yummy snack. Bump up the heat in your favourite dishes with chillies. They come in a variety of colours and heat variations. 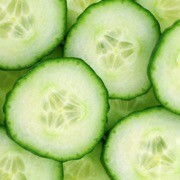 These are a great addition to any salad and are good sources of fibre, particularly in the skin. They are super yummy as a quick snack sprinkled with a little salt and pepper. Super low in calories and high in fibre. Okra isn’t super popular but is very tasty. Fry it up with different herbs and a touch of butter. Delish! Sugar snap peas are a great snack option. Enjoy raw with your favourite low carb dip, add to your favourite stir fry or toss in a pan with some garlic and olive oil ? A great low carb substitute for lasagne sheets and also can be stuffed and baked. If you ever come across the pickled version in a jar, give them a go, they are soo good. ? MOST lettuce types and leafy greens are low carb and are a great way to bulk out salads. Can also work as a wrap filled with your favourite low carb fillings. SUPER low in carbs and packed full of goodies. They are awesome any time of day. Cooked in a touch of butter and served as a brekkie side, or added to your favourite bolognese or pizza! 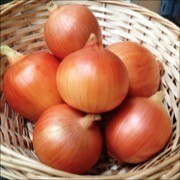 Onions aren’t super low, but I added these in because they do add a great flavour to most low carb dishes. They come in white, brown and red (Spanish) which look and taste great in any meal. The colour of these amazing vegetables is reason enough to love them, let alone for the fact they are super-low in carbs and a perfect addition to salads! Ok, so it pretty much turns to nothing when popped into a hot pan ? BUT Raw Baby Spinach leaves are such a great way to bulk up your salads and dishes. There are many types of tomatoes. Pick whichever you love best. 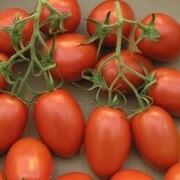 Roma tomatoes have a great flavour. 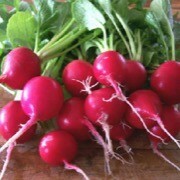 Perfect raw in a salad or cooked up and used as a sauce. Another yummy snack on their own sprinkled with a little salt and pepper and drizzle of olive oil. ? Also known as ‘summer squash’. These are super high in Vitamin C and low in calories. 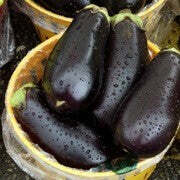 Add them to your favourite warm dishes, or grill them and toss them in salads. The Zoodle craze has put zucchini in the spotlight for low carbers, used as a low carb pasta/ noodle substitute. They are also a great addition to stir-fries, grilled, or added to a bolognese. Yep, its a fruit. Who doesn’t love AVO! Popular AF in the low carb/ keto space. On toast, in salads, used in baking to create a moist cake or muffin, and Guacamole ?? so many ways to enjoy it! Packed full of antioxidants, vitamins and minerals. They are also very high in fibre 6g fibre per 100g. These are a great addition to low carb desserts, salads and super tasty on their own. Blueberries are known for being a ‘superfood’ as they are packed full of goodies. Find them fresh or frozen (frozen are great for baking) Superfood or not, they are delicious with greek yoghurt as a healthy snack. Per 1/2 cup blueberries have 8g carbs. Raspberries are tart and delicious. You can use them to make a chia jam to pop on top of your Protein Pancakes or waffles. Great addition to salads, baking, cocktails or simply sparkling water. Also squeezed over a tasty curry or grilled seafood. ? Passionfruit are tasty as they are, but can be used in cocktails (yes, please! ), baking and just mixed through yoghurt or cream.